Missing My Pen: Artwork of My Characters! So, I've been away this whole month with school homework and management, plus spending quality time writing. 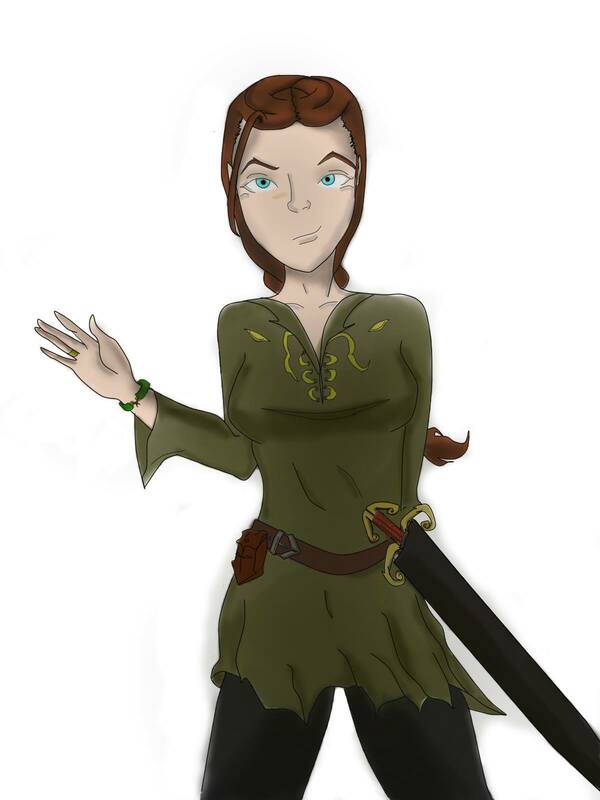 At the same time, a friend of mine has been drawing out my characters and, wow, I am impressed. To be able to see my characters through my eyes instead of picturing them in my mind--it feels great. Drives me to write more. And here, I'd like to share with you his drawings. He's done two characters so far. This one is of Cassandra Monica, the main character of the novel. Floragne is with her and so is that Celestials-damned smug of hers. 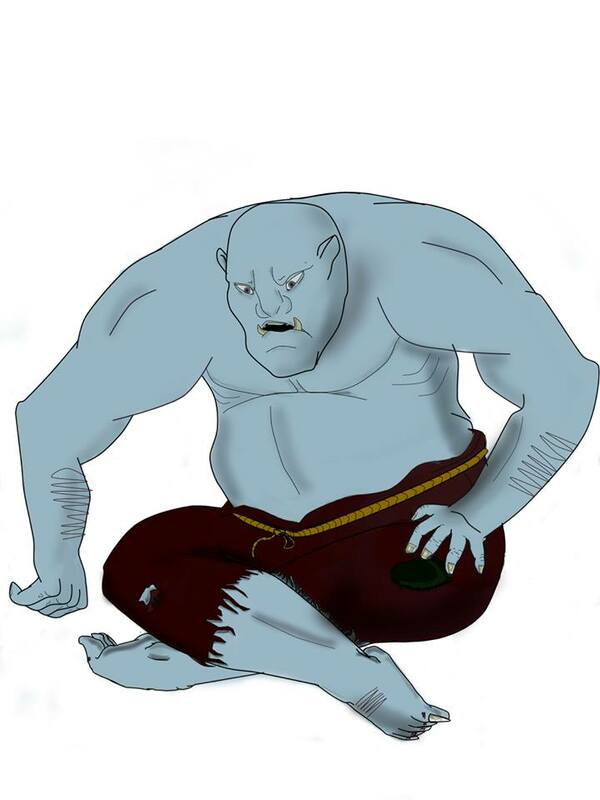 And this one is of Dyven-Mazak, the ogre of Cassie's group. For the record, yes, he is blue. So those are the two characters so far. On the other hand, I've been participating in a lot of programs too, mostly involving those on self-development and preparation for college and universities. Anyway, that's all I'm writing for now. Thank you for reading this post and maybe leave a comment on those artworks. Both my friend and I would love to know your thoughts on the art. See you guys in the next post!